Last year was exceptionally good for Kazan tourism industry, but the beginning of 2016 has showed that there is more to come. Prime Minister of Tatarstan explains such success during the last year by the effective event tourism program created in the region. For example, Kazan Kremlin, the biggest landmark of the city, has hosted record high amount of tourists during 2015; the number of visitors amounted to 2.1 million people. Hundred of thousands of tourists visited Kazan during the winter holidays. Period from 3rd to 6th of January is the most busy time for the Tatarstan capital. This year, 133 thousand of russians vacationed in the city. According to the data, majority of Kazan landmarks have recoded the highest number of visits during 2016. The 4150 people has visited The Bolgar State Historical and Architectural Reserve during the winter holidays 2016, compared to 2925 visits during the same period last year. 10133 people have visited The Sviyazhsk island between 1st and 10th of January, while in 2015 this number was equal to 8012 people. The amount of visits to Yelabuga State Historical, Architectural and Art Museum Reserve has also grown in comparison to the same period in 2015; the amount of tourists has went up from 2108 to 6620 people during the winter holidays. Thanks to the record high amount of visits during the New Year holidays, Kazan has been ranked 3rd top New-Year destination among Russians, after Moscow and St. Petersburg. 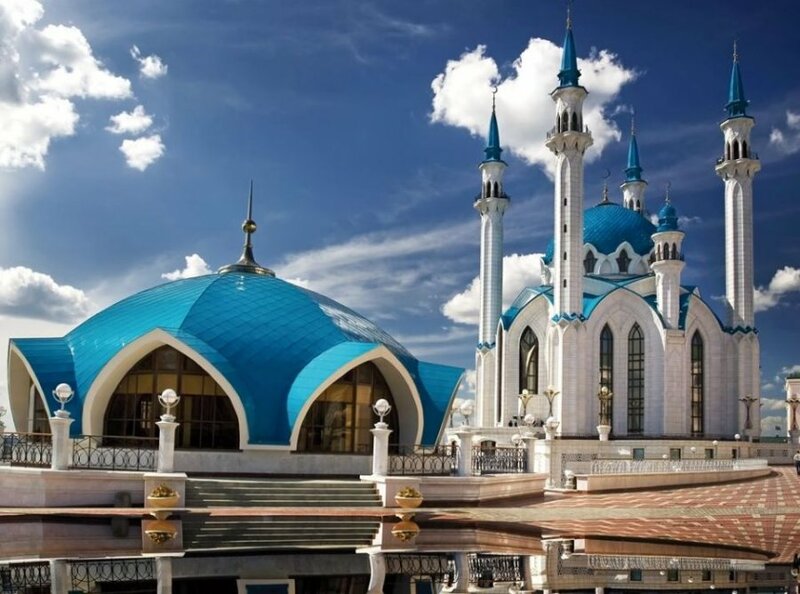 During the summer time, cruises from Moscow to Astrahan are stopping for one day in Kazan. Tourists are able to join the city tour and visit Kazan Kremlin.